The Os Castle (cat. 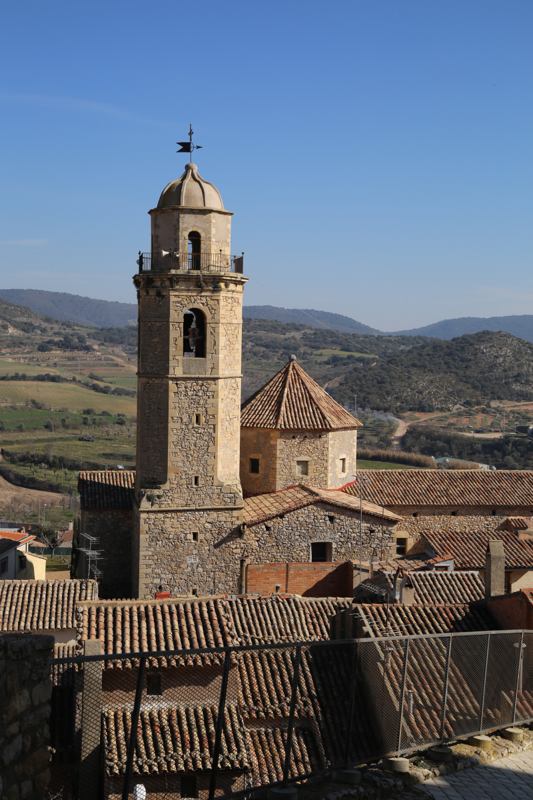 El castell d’Os) is located above the village of Os de Balaguer (Noguera), at the top of a hill that stands over the upper part of the Farfanya river valley. It is a monument declared cultural asset of national interest. 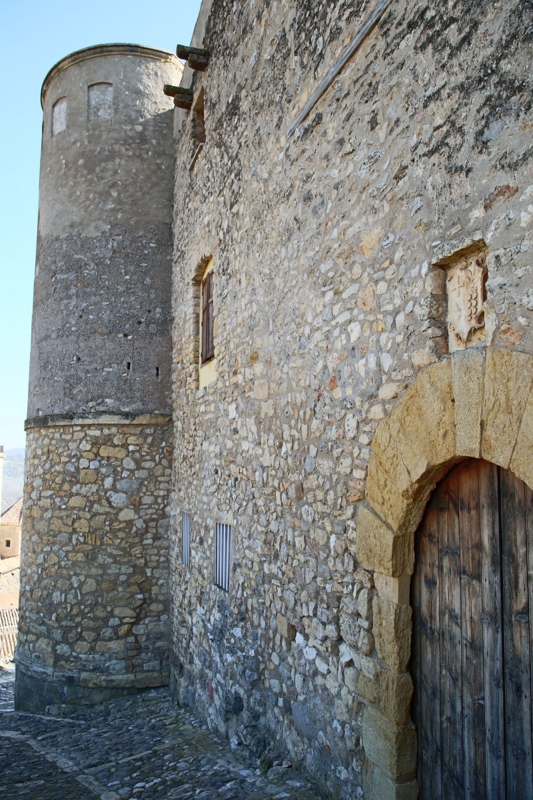 It is of Arab origin, it was documented in 1036 in the disputes of the castle of Santa Linya and in 1063 in the territorial demarcation of the castle of Canelles when it was given by the Count of Barcelona Ramon Berenguer I to his wife Almodis. 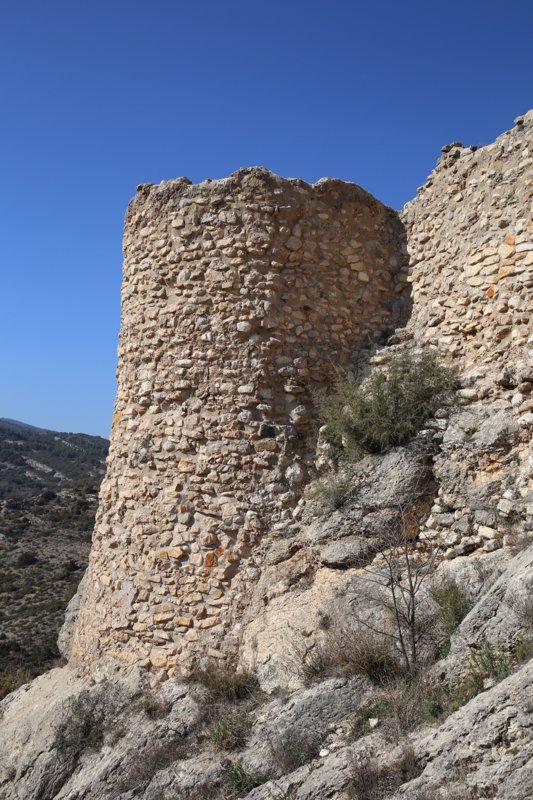 However, in 1105, in a pact between the tutor of Ermengol VI of Urgell and the count of Barcelona Ramon Berenguer III, several places were mentioned that were to be seized from the Arabs, which were strategic and difficult to conquer, among them the fortress of Os, considered one of the most important of Alta Noguera. 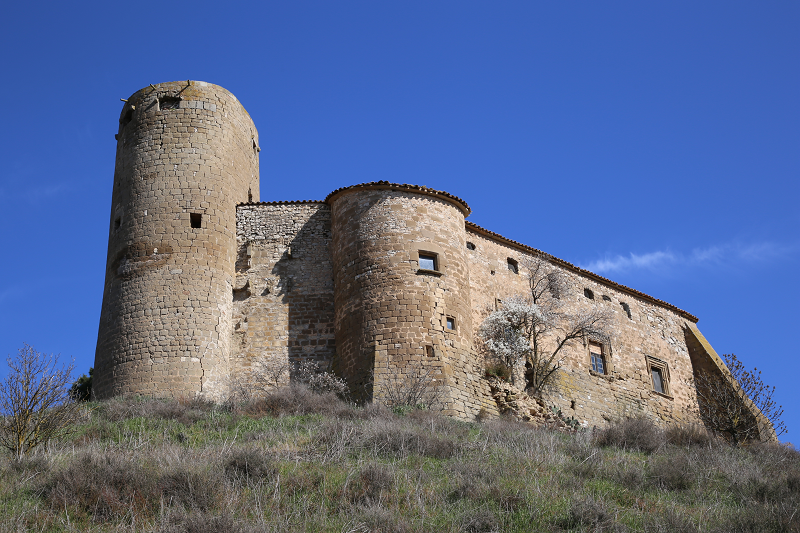 The castle of Os was conquered around 1116 by the Count Ermengol VI of Urgell and the viscount Guerau Ponç II of Cabrera. Ermengol signed a pact with the viscount of Àger, giving him the castle with all its belongings, dominion, power, and help in case of attack by the Arabs, to compensate him for the expenses incurred in the conquest of Os. In 1116, the viscount of Àger made a donation of income, revenues and tithes, from the church of the castle of Os to the abbey of Àger. 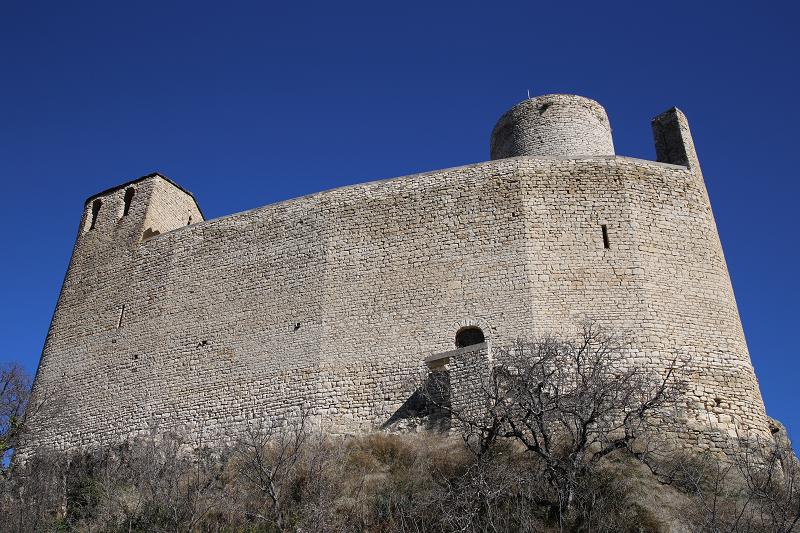 According to a testamentary record from 1158, the castle was given in fealty to the Berenguer family of Àger. 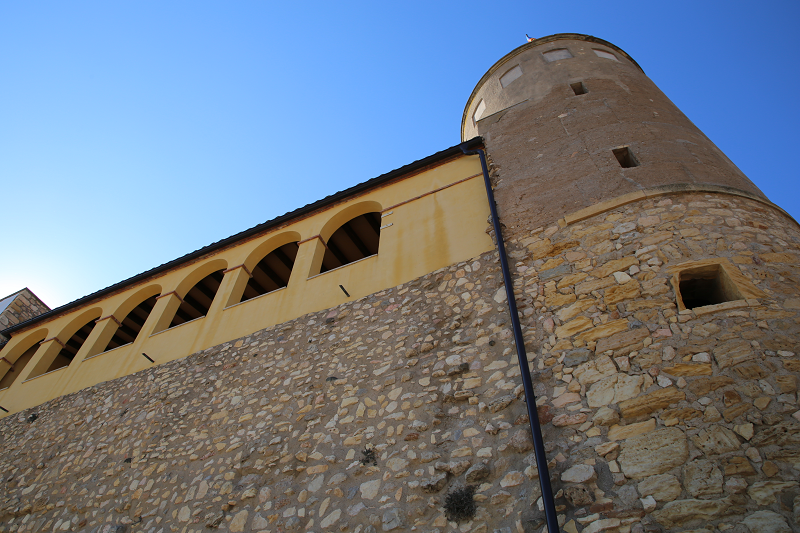 The will of Count Ermengol VII of Urgell from 1167, states that his son and successor will inherit the Os Castle. Subsequently, in the 13th century, disputes for the power over various domains including that of the castle of Os, between the Cabrera, Viscounts of Àger and the counts of Urgell were documented, those disputes sometimes required intervention of the crown. 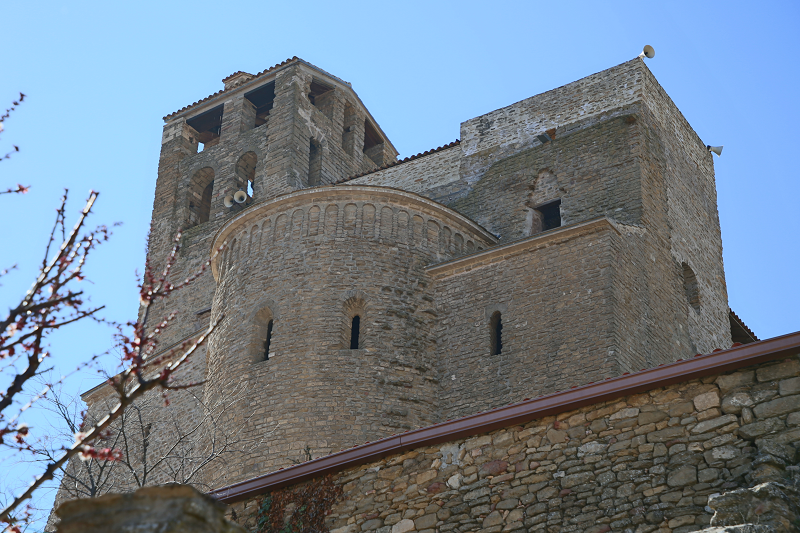 In the hearth census of the 14th century, Os, with 54 fireplaces, appears to belonged to the count of Urgell. 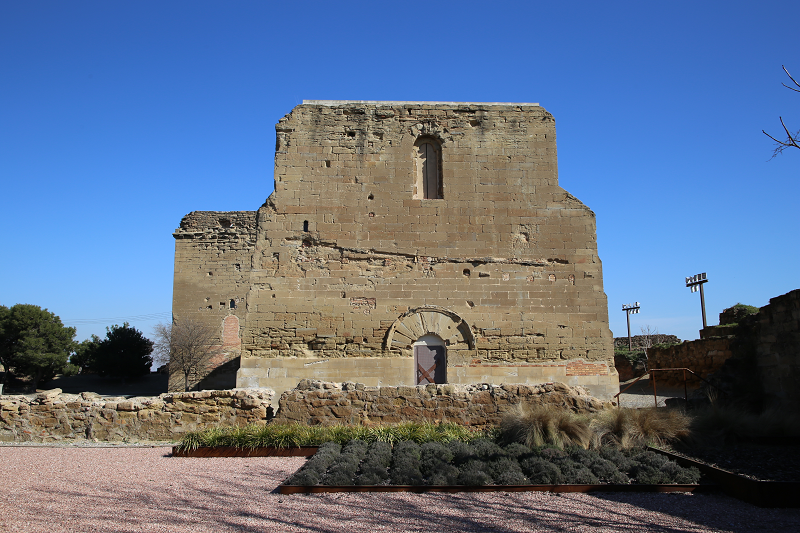 When Martí l’Humà died in 1410, Jaume II of Urgell, pretendant to the crown, donated the castle of Os to his sister Elionor, but the new king Ferran of Antequera, kept the assets of Elionor and gave the castle in allod to the knight Joan Vivot in 1415. 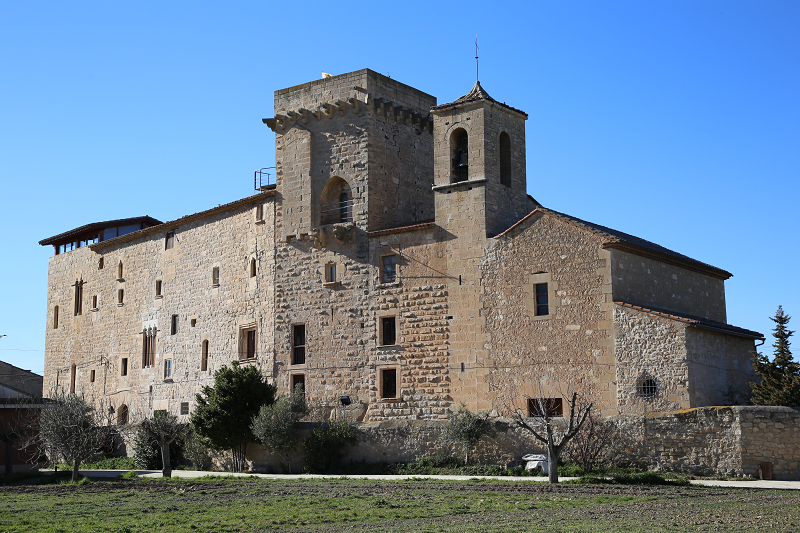 In 1553, Madame Montserrat of Siscar was the landlord of Os, at the beginning of the 17th century the owners were Ramon de Siscar i Gravolosa and Isabel de Siscar i Saportell, and in 1638 their son Ramon. This lineage continued the lordship of Os with the castle until its confiscation in the 19th century. 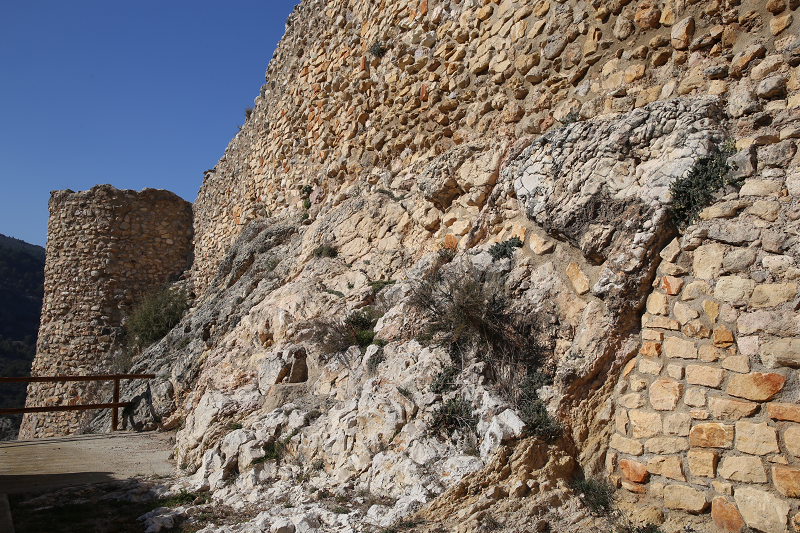 In the remains of the castle we can see three construction periods. First, the large enclosure was built (partially conserved). In the second stage, at the Gothic age, a mansion was built in the northeast corner. 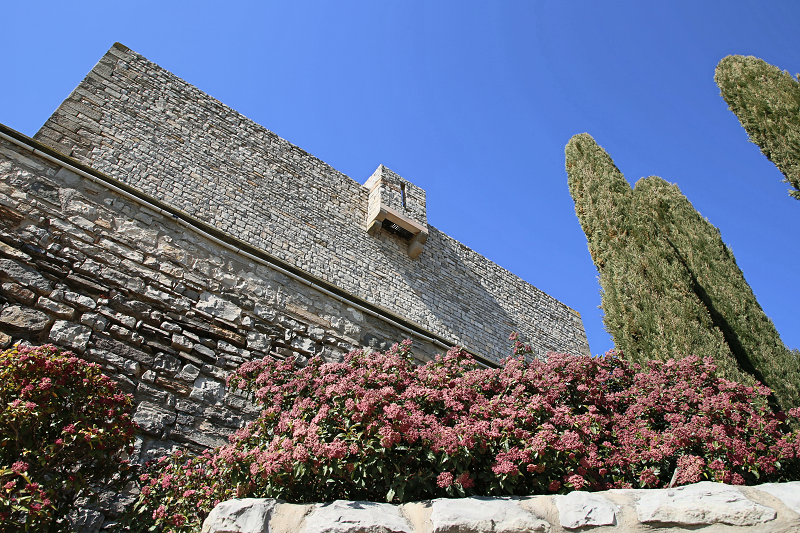 Finally, in modern times, the mansion was expanded and the chapel of Santa Bárbara was built. The enclosure has a trapezial floor plan, 50 meters long (east and west) 75 m on the north side and 50 on the south side. The wall thickness oscillates between 210 cm on the east and 100 cm on the west side. 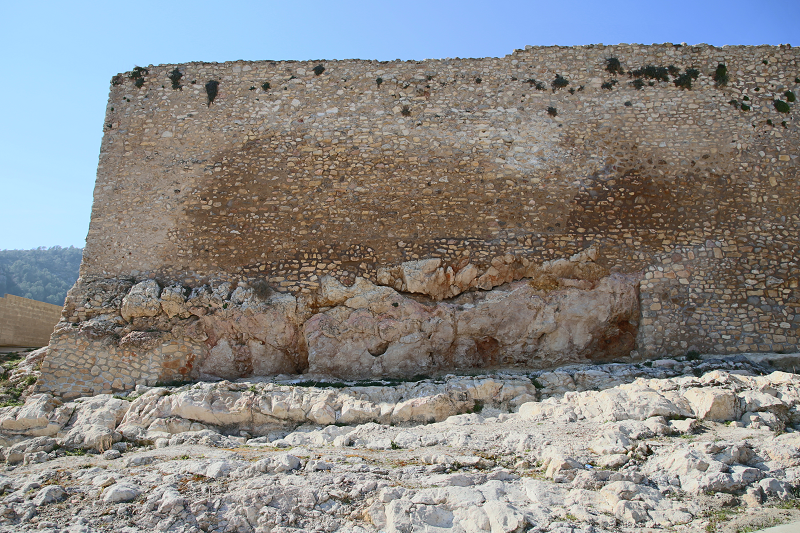 In some places the wall has a height of 9 m. The body is made of small stones that are not worked but arranged in rows and joined with mortar. The whole southern side is preserved. The east facade is also kept whole, but with reconstructions. The north side was partly rebuilt and on the west side we can only guess some rows from what is left. One of the most interesting aspects of the construction are its various half towers. There is one very well preserved on the south side. It has an internal width of 3.6 m and a wall only 85 cm thick. We can guess that on the east side there were stairs to get on a chemin de ronde. In the middle of the west wall there was another half tower. The one with the best finish is at the northeast corner, next to the door. Its bottom 2 m is made with large, well joined and aligned ashlars. Below it there is a basement. Above these ashlars there is a long relief, on top of it about 5 m of very irregular construction, on top of which few additional meters were added in modern times. Most likely there was a wall that divided the north and south of enclosure, currently we can see about 15 m, 120 cm thick remains of it. Therefore it seems that in the Middle Ages it was a large enclosure. It is difficult to agree on origin date of the enclosure. If it was located in Old Catalonia, it would be considered a late construction (13th or 14th century), but the following facts suggest a more than probable Islamic origin. In 1116 an important Muslim castle was documented. The sections of the construction body, with a lot of mortar that surely were made with some kind of formwork, would be of Andalusian origin. The body of the northeast half tower is very carefully finished and crowned with moldings. 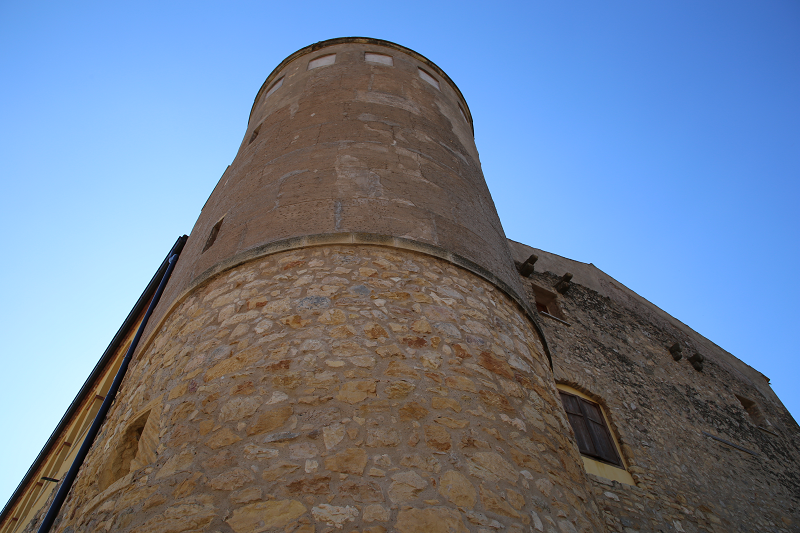 The diverse semicircular flanking towers are the most remarkable, considering that in Europe at least until the 12th century the walls were smooth. 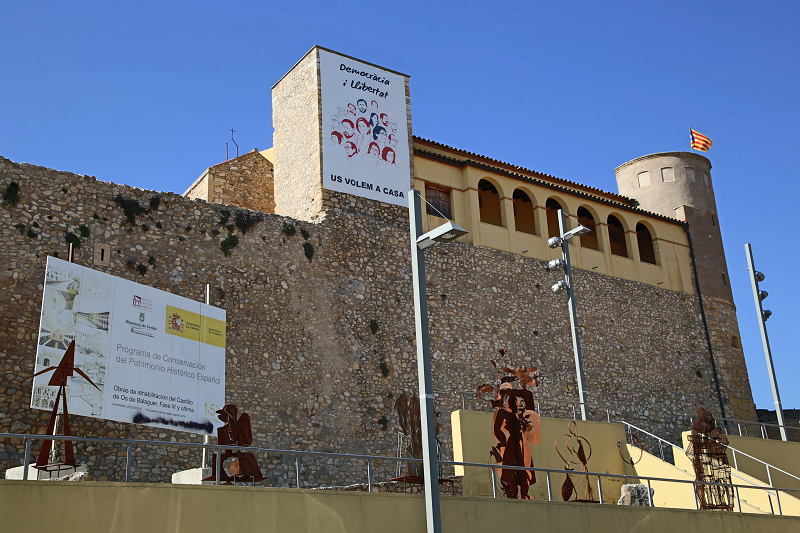 It is an important fortress, that can be related to others located further south, such as Castelló de Farfanya Castle.